I love taking cooking classes; so much so, I used to run cooking classes in the restaurant kitchens for the Epicurean Club of Maryland. 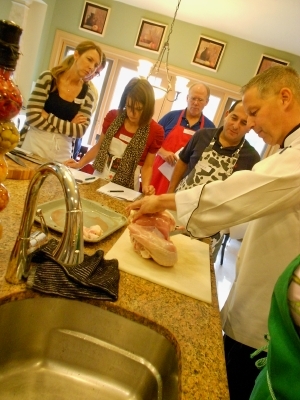 Every now and then I like to put together a list of cooking classes in the region for my readers. Some of the classes are demonstration, some are hands-on, some are for adults and some are for children. No matter what you walk away a winner and a little bit fuller.